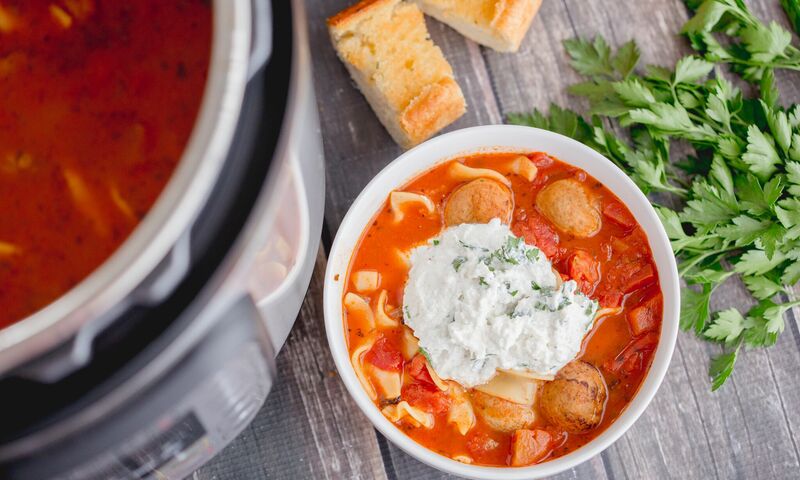 Luckily this delicious Lasagna Soup recipe fits the bill! 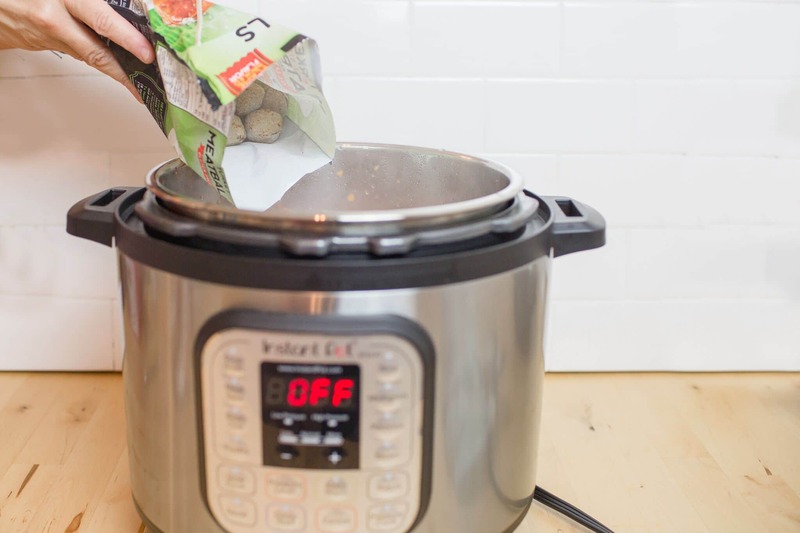 It’s easy, delicious, and can be made in an Instant Pot. 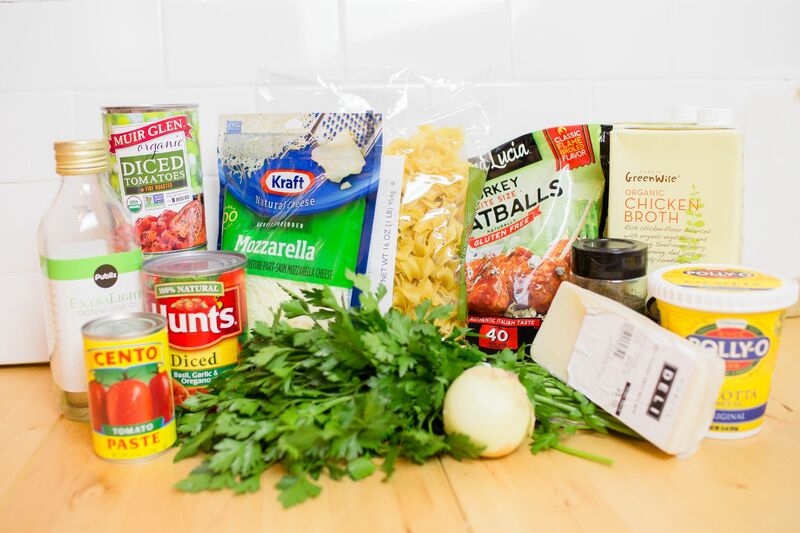 Frozen pre-made meatballs (We have also used these meatballs in our Italian Wedding Soup recipe!) and packaged egg-noodles are just a few shortcuts we also use to make this recipe even that much easier! This tasty, comforting, and easy-to-make soup is definitely a family pleaser, and is sure to become a staple in your house! Sidenote: The Lasagna soup will thicken over time, so don’t worry if it seems like a lot of liquid at first. 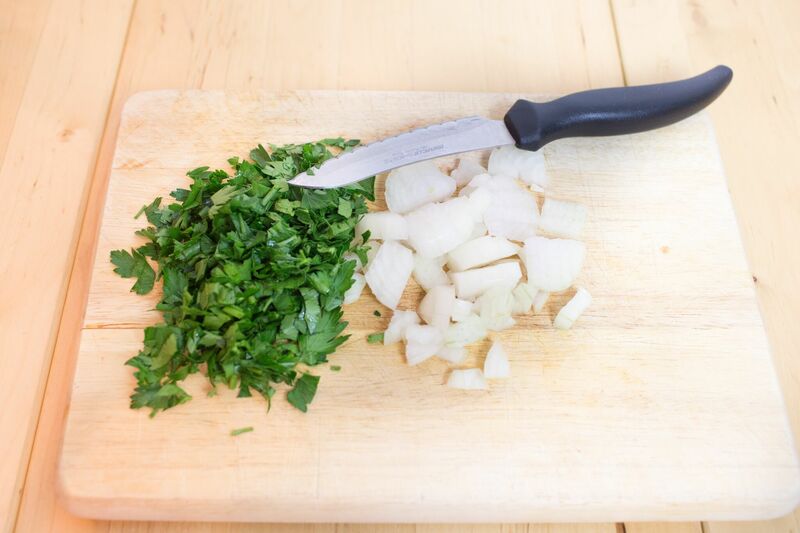 Step 1: Chop onion and parsley, set aside. 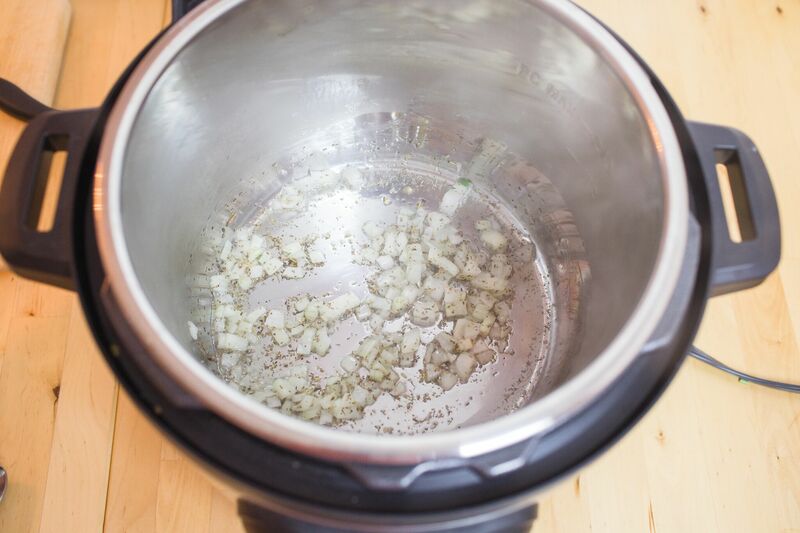 Step 2: Add olive oil to Instant Pot then add onion and Italian seasoning and saute for 3 minutes. 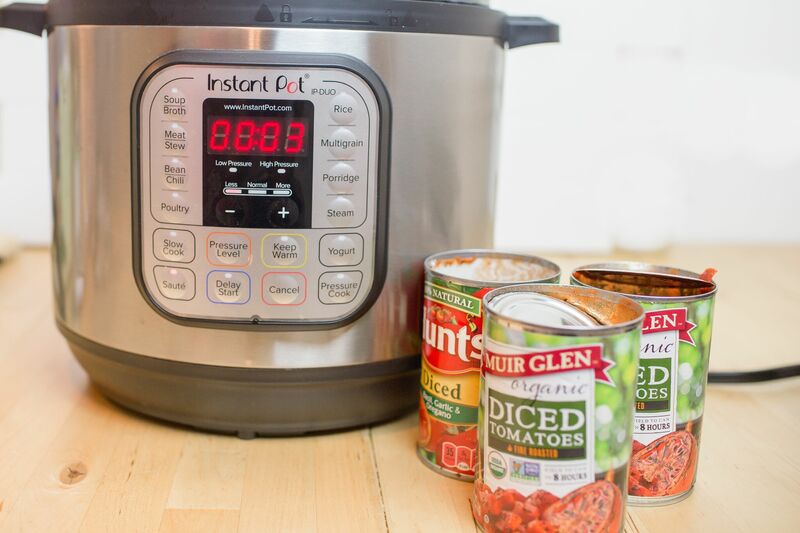 Step 3: Then add the 3 cans of tomatoes to Instant Pot and saute again for 3 minutes. Step 4: Then add the tomato paste, the stock, and then add the grated Pecorino Romano to Instant Pot and put on pressure cook high for 4 minutes. Step 5: Mix together Pecorino Romano and mozzarella cheeses, ricotta, parsley and black pepper. Step 6: Add frozen meatballs and 2 cups of egg noodles to Instant pot and cook on high pressure for 3 minutes. Step 7: Once time is up do a quick release ( be careful not to get burned by steam release valve) Then ladle soup into bowls and top with a heaping spoonful of the cheese mixture. Looking for a hearty meal that the whole family will love? 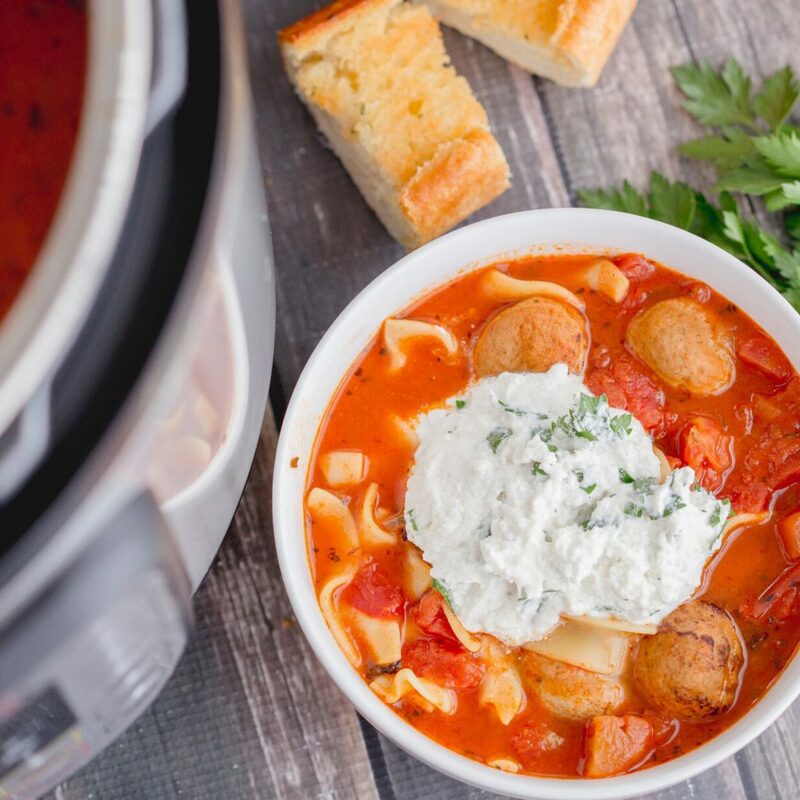 This Lasagna Soup recipe tastes great, uses simple, easy-to-find ingredients, and can be made in an hour or less! Chop onion and parsley, set aside. Add olive oil to Instant Pot then add onion and Italian seasoning and saute for 3 minutes. Then add the 3 cans of tomatoes to Instant Pot and saute again for 3 minutes. 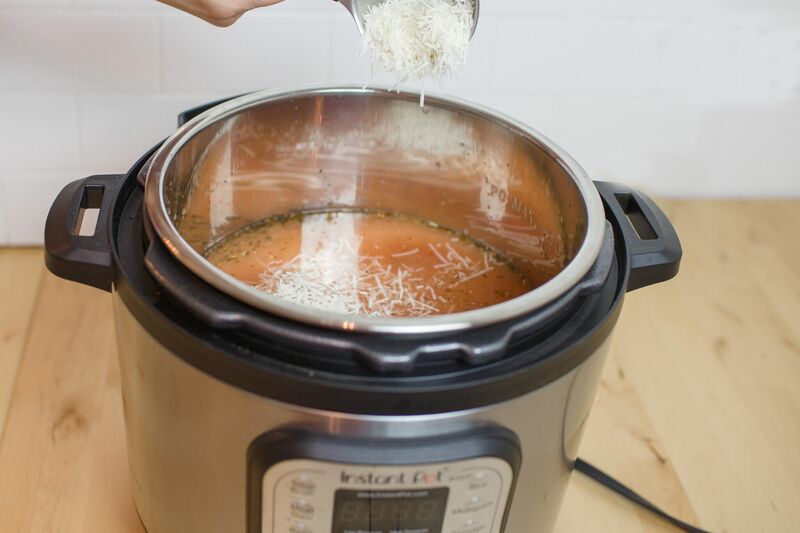 Then add the tomato paste, the stock, and then add the 1/2 cup of grated Pecorino Romano to Instant Pot and put on pressure cook high for 4 minutes. 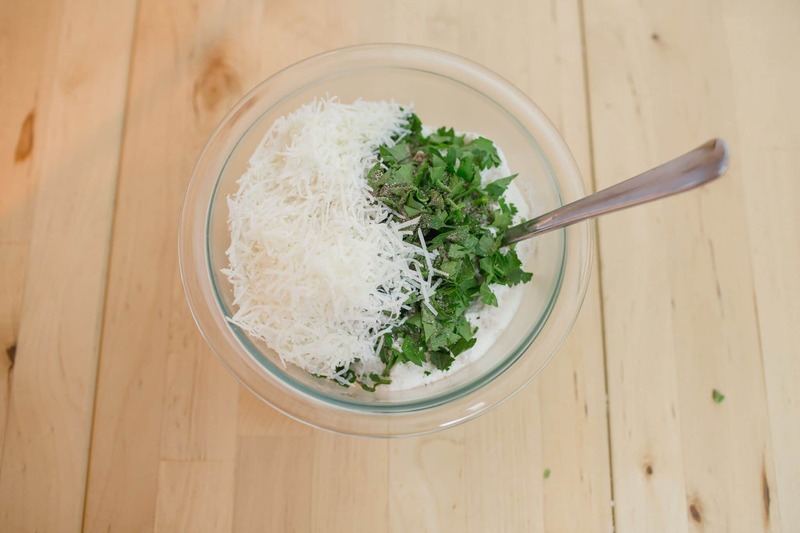 Mix together Pecorino Romano and mozzarella cheeses, ricotta, parsley and black pepper. Add frozen meatballs and 2 cups of egg noodles to Instant pot and cook on high pressure for 3 minutes. Then ladle soup into bowls and top with a heaping spoonful of the cheese mixture. Thanks for the recipe, this looks very good. Cooking is fun, and learning new recipes on Youtube. I understand that the consideration of kids is involved in the recipe, which looks great, and I will adding a clove or two of roasted garlic. My family loves “poor man” lasagna, but this looks even easier. Will have to sub a few things to make it vegetarian friendly, but that will be super easy to do! I’m putting this on my menu for the week. Thanks! 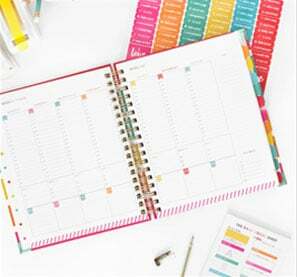 Do you release the pressure between steps 4 & 6 in this recipe? It would seem necessary before adding the meatballs & noodles. 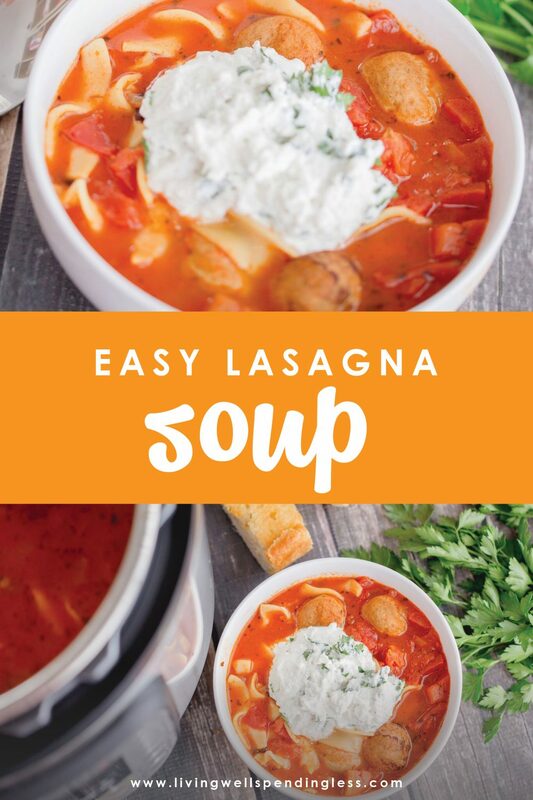 Sounds delicious and I’m looking forward to making this as I love lasagna soup! Lucky me I have some ricotta in the fridge left from a cheesecake I just made. 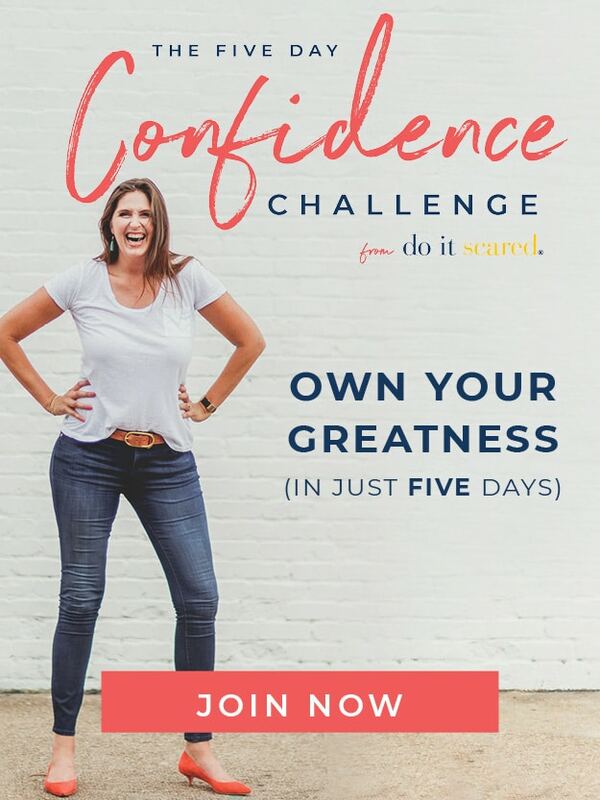 But wait, I thought you were doing the keto diet? (I just started that too). 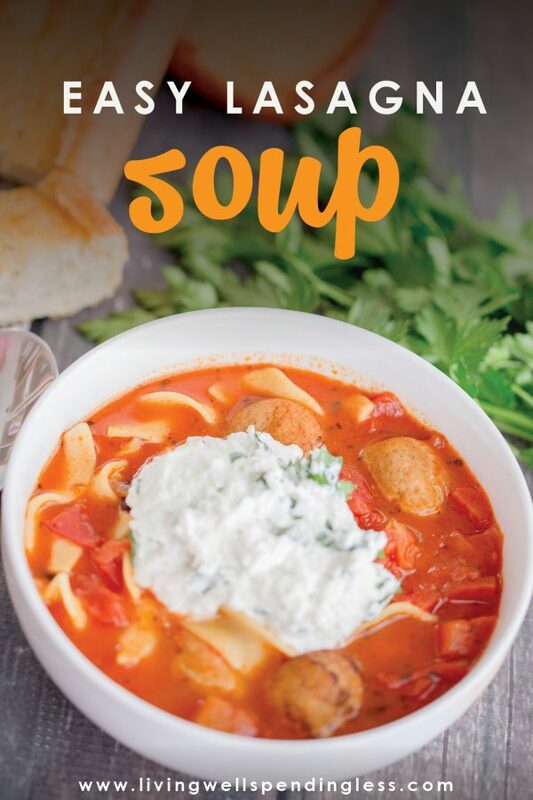 Do you think this soup would work for the keto diet if you omitted the noodles? Hi Theresa- I’m doing Keto but my kids are not and this recipe was just so easy and delicious I just had to share. Unfortunately, the meatballs are not keto friendly, so you would have to adjust that and the noodles.